Faster, more efficient and better; there is almost no end to the promises attributed to Agile and Lean product development. Dispite all the promises many teams and organisations are not able to gain the possible benefits. 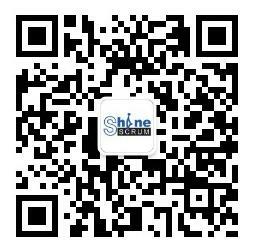 August 16th 2014 at Beijing Station Shinescrum Workshop. Discussions on how individuals can implement Agile at work. The theme is: "Scrum on a scale & Agile requirements analysis"
August 31st 2014 Agile training and guidance for managers at our Agile Requirements Management Workshop in Beijing. Soon to begin! September 2-3rd 2014 The story of Wang Haidong at Ericsson, his trip to the US for Scrum and Agile training. In Shenzhen. Apply now! 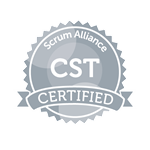 18-19th July 2014 Agile teams share a collective performance evaluation at our Scrum & Agile software development management training in Shanghai. "Documentation in Agile: How Much and When to Write It?" This paper brings out the uniqueness involved in Agile Scrum projects, and identifies the traits required for a successful team. The paper concludes with recommendation of interventions required for effective scrum team. ScrumMaster is not the Project Manager ! Recently, Jens Østergaard, invited by ShineScrum, took an interview from Turing Community. Why increment must be "done"? Take action to communicate face to face with Jens Østergaard, the world’s first certified CSP and one of the first CST.